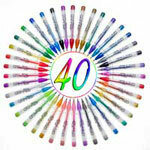 * Get a FREE pack of swirl pens with purchase of all 4 Kits! "Draw Your Imagination!". 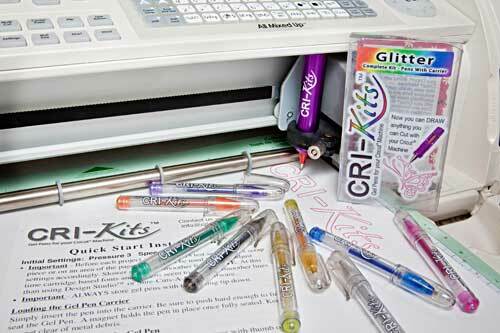 Draw anything you can cut with your Craft machine with gel pens by Cri-Kits. 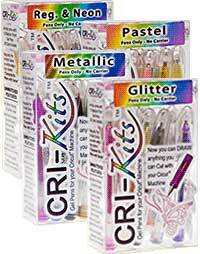 Supports Cricut Personal/Expression/Create/Cake, Pazzles, Silhouette and Sizzix Eclips. Pens "click" as they are inserted inside Cri-Kits unique, Paten Pending, gel pen holder and stay put by magnetic attraction. Easy to put in and easy to take out to change colors. No parts to wear out and no tools needed. 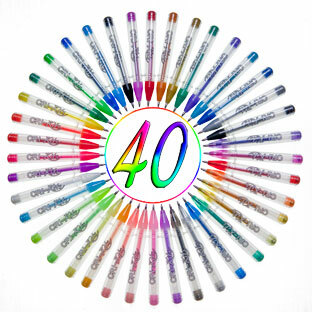 The possibilities are endless with over 40 available colors. So many colors give your scrapbooking and crafts a whole new dimension. From standard Black, Red, Green & Blue to Neons, Metallic, Glitters & Pastels, we've got you covered.